“Digital skills” and “digital literacy” are terms you may have heard thrown around a lot lately, but what do they mean? How can I get digital skills, and how will that help me in life? In this article, we’re going to dive into 7 great ways you can work to enhance your digital skills, with concrete examples and great resources along the way. Then, we’ve got a list of the 10 must-have digital skills for the workplace; if you work in the tech or digital industry, you’ll need to know and master these. What are digital skills, and why are they important? Digital skills are the abilities necessary to understand, navigate through, and make use of digital technologies and the Internet, with little or no assistance. Possessing digital skills is so important in today’s modern world, having digital skills is essential, both for your personal life, and in the workplace. We want you to know exactly how you can start gaining digital literacy, enhance your current basic skills, or master your skills if you already know quite a bit. We’ve got 7 ways to do so below, so read on to start becoming a pro now! 1. Take free online courses. 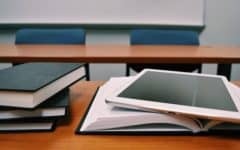 Some of the best resources to make use of for increasing your digital skills are websites with free online courses that teach you, especially if they have interactive tools to help you learn. We might be biased, but one of the best out there is TechBoomers, with over 100 free online courses teaching you how to use the most popular websites and apps. It also has helpful blog posts to keep you up-to-date on the most important aspects of the digital world. We also love GCFLearnFree.org, which has great online tutorials for a variety of computer-related basics. It has mouse and keyboard exercises, Microsoft Office tutorials, lessons for how to use email, and much more. DigitalLearn.org is also an amazing resource for getting started on the computer. 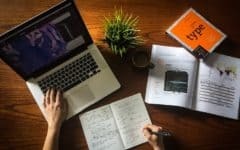 If you need tutorials to learn some basic computer skills, they have them. They also provide introductions to topics such as Internet safety and privacy, and even how to find a job online! 2. Make an effort to use tech for your job, for a hobby, or for showcasing your work online. Enhancing your digital skills can be as simple as integrating some basic skills into your daily routine. For example, you can make a point of browsing the World Wide Web at least once per day at home. Or, in the interest of improving efficiency, you can find ways to integrate digital technologies into your job or personal endeavours. Little actions like these can go a long way towards increasing the level of your digital abilities over time. 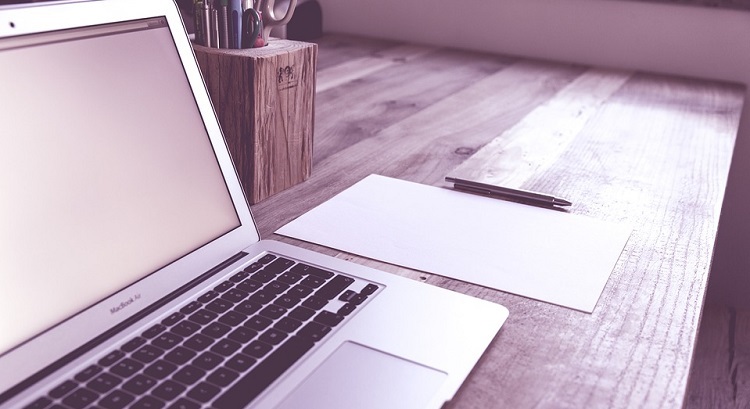 Start out with something simple, like creating a new social media profile. Then, work your way up to something like getting all of your notes, tasks, and important documents and information organized in one place with a service like Evernote. The more you make an effort to work digital technologies and the Internet into your life, the faster your skills will improve. 3. Improve your methods of communicating with others online. Online communication is key today, so make sure you have an email address from an easy-to-use service like Gmail. An email address is required not only to send messages to people, but to sign up for many of the website and app services available today. Also, if you want to up your online communication game, check out a free video conferencing service like Skype. You can collaborate with colleagues, friends, and family in various ways – including free video calls – all over the world! 4. Increase your online presence. Having an online presence is slowly becoming a key component in how people communicate with one another, including briefing each other on what’s going on in their lives. Developing a social media presence on popular websites such as Facebook, Twitter, or Instagram will help you connect with more people and keep up-to-date on the latest news. Having a social media presence is also very important for businesses; we’ll explain why when we discuss digital skills that you should master for the modern workplace. 5. Teach digital skills to others. Once you’ve honed your own digital skills, a great way to maintain them and gain a deeper understanding of what you know is to pass them along to others. If you’re serious about spreading your skills and want to give lessons to a larger group of people, you can work on developing your own curriculum. Use TechBoomers to help you, or try a website like Common Sense Education that has dozens of online lessons available for your use. 6. Practice your skills over time. Learning these skills is great – but if you don’t continue to use them, you won’t be able to keep up with the newest developments in the technology industry. You may even forget how to do basic things such as navigate through a website or app. Check out the Northstar Digital Literacy Assessment to evaluate how sharp your skills are currently, and to help maintain them over time. 7. Follow current tech trends on an ongoing basis. DigitalTrends.com – contains general technology news, as well as reviews of the latest digital hardware and software. Lifewire.com – offers tutorials on how to do various things on computers and other digital devices… including how to solve common problems! It also has guides on which digital products to buy. Cnet.com – provides all sorts of digital technology resources: product reviews, instructional guides, the latest technology news, and where to get great deals on gadgets. Thewirecutter.com – brought to you by The New York Times, lists the best new digital technology gadgets and gives you advice on which ones to buy – or not. In the digital technology industry, there are certain core skills that are often requirements for many jobs. The more you work to develop them, the more luck you’ll have with getting a job. In the least, reading to learn more about each of these skills and abilities will help you stay in-the-know in your current industry. They may even help you think of some ways to improve practices at your current business. Here are ten key in-demand digital skills. Social media management has become such a big part of the normal business of many companies – especially any large company. Most companies have social media profiles set up for their brand, and often have specialized employees who manage them. Sometimes they post weekly updates, and other times post multiple times throughout the day. The core social media websites you’ll definitely need to know how to use are Facebook and Twitter. If you really want to get ahead of the curve, though, make sure you check out Hootsuite.com. 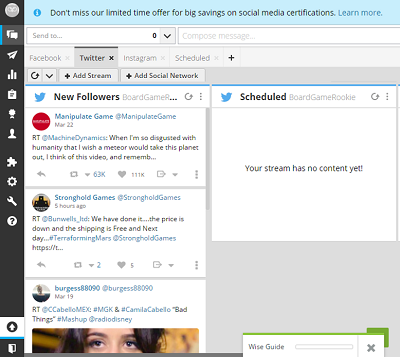 It allows you to manage and schedule posts for all of your social media accounts, all in one place. And if you really want to get complex, check out IFTTT.com (If This, Then That). With this tool, you can create rules for your social media posts to follow when certain conditions are met. For example, you could back up all posts to Dropbox after they go live, or automatically re-post any Instagram upload to Twitter instantly. The ability to analyze the user traffic on a website is a key component in understanding who your target audience is, when to post on and update the site, and many other things that help a website become successful. One of the most important tools used in the industry is Google Analytics, which can tell you so much about the traffic on your website. Learn about the many demographics related to your web traffic, including the day and time when people visit your site, the ages of those who come, what kind of web browser they use, and whether they are a new or returning user. Search Engine Optimization (or, more commonly, SEO) is the process by which those who work with websites (web designers, developers, coders, writers, and others) optimize their web content for search engines (usually Google Search). This helps their website be high on the list of results returned when a user searches for something. 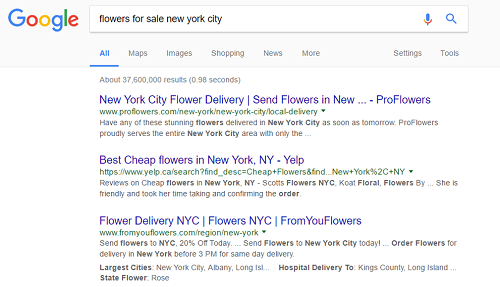 For example, if your business was to sell flowers in New York City, you would optimize the content on your website so that people searching “flowers for sale New York City” – or other variations of that – would see your website at the top of the list of websites a search engine showed the user. There are some great tools out there that can help you learn SEO tactics and determine how well your website has currently been optimized. SEMrush can help analyze your site and its search result positioning, give you ideas for improving your search rankings, and help manage your social media engagement. Another great website that can simply help give you information about SEO is Moz.com. 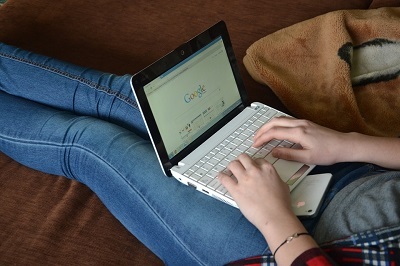 It has tons of blog posts, information articles, and helpful videos that can give you great tips about SEO. Some SEO tools require a paid subscription, but they typically offer a free trial or limited free services as well. For years, images have been one of the core components of marketing. Since digital imaging has become popular, the Internet has been overwhelmed with images of all kinds. Whether it’s photography, image editing, or the many components of creating digital images, this field is an increasingly important component of most websites and apps. The ability to use image editing software, such as Adobe Photoshop, is an impressive trait to list on your resume when job-searching. Coding and programming is not just for computer science majors anymore. There are many courses available for introductory coding, and even a basic knowledge can really help with some aspects of web development. Even if you don’t have the knowledge to create a website from scratch, you may be able to edit minor aspects of your company’s website or contribute to future updates in some way. A great place to learn some introductory coding is Codecademy.com. This website has interactive lessons on HTML coding, and as you work, it teaches about what different codes mean and how to create them. If you’re brand new to coding, you can also check out this introductory article on HTML coding. A CMS or “content management system” is an application or website that helps create and update digital content. Essentially, it can be as simple as starting your own web log (or “blog”), or as complex as a drag-and-drop website editor that allows you to edit code. One of the most popular sites of this kind is WordPress.com. You can create and totally customize your own blog, make your content totally accessible to those all over the Internet, and much more. Some other well-reviewed CMS that you may want to check out include Magento (for e-commerce) and Joomla (if you already have basic coding experience). Learning to use a CMS may help your current business improve its outreach. Video content currently takes up a significant portion of what people are looking at on the Internet, and many companies project that it could account for up to 80% of Internet traffic in the near future. Knowing how to create video content is a key skill that could help you land great jobs for web-based companies. Having the equipment to create videos is also a great thing to note on your resume or in a cover letter. If you have these skills, make sure that you start your own Youtube channel (or an account on another video-sharing service, such as Vimeo) to showcase your talents and demonstrate what you can do. Giving an employer a URL to your video account is a great way to prove your ability, and will significantly increase your chances of being hired for a video editing/creating position. If you want to learn more, check out our step-by-step article on how to create a YouTube channel. Data storage is a key component of every business that uses any form of digital technology. To organize and securely store data is a very important skill to have, and understanding how to use cloud-based storage systems is fundamental. Two of the most popular services for this are Google Drive and Dropbox. 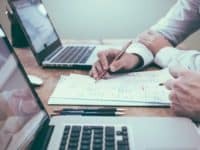 Both tools have desktop and Internet-based platforms, can help you recover lost files, and have ways of letting you collaborate with your colleagues easily. The ability to show a prospective employer what you’ve accomplished in the past will help them easily picture what you can do for their company. Thus, this skill is especially important if you are seeking a job, and can be an excellent addition to your resume. Consider creating your own blog with a website like WordPress.com and getting your content out on the Internet. If what you do is a little more complex than that, think about starting your own website with a drag-and-drop web editor like Wix or Weebly. You can create as many pages of content as you want, and customize every little detail. Both sites even have free plans that, if you’re using them to showcase your content, would most likely suit your needs! Having many of the skills listed above is a great way to improve the website of your employer. However, without the skills required to enhance your company’s digital marketing, you may not reach any additional audiences, regardless of how great your content is. Unfortunately, concrete examples of your skills only come with experience. Try coming up with some strategies about how to better showcase your company’s content online. Also, think about how to reach greater numbers and/or types (i.e. demographics) of people. Make sure to track your progress using web traffic analytics and SEO practices, as well as a number of the other skills we’ve mentioned. When you develop these great digital skills, be sure that you include them on your LinkedIn profile. If you don’t have a profile yet, you should sign up for one; it’s a huge help if you want work in the digital technology industry, or simply want to bring a little more of the digital world to your current position. Remember that a commitment to lifelong learning is the best way to develop your digital skills over time. Therefore, always stay up-to-date on current trends, and try to maintain an interest in learning new technological skills.